MAM: Can you tell us what Goatman is about? LD: Well, without giving away too much, I’d love to just describe it as a classic slasher film with a modern approach. All the characteristics we know and love about this sub-genre of horror are what make up this film, only I have tried my best to make my characters more motivated and realistic, as opposed to the typical horror movie characters who constantly walk head-first into danger. I’ve discussed this on multiple occasions with my friend and the film’s creative producer, Mason Guevara, and the makeup artist we have for this film, Amanda Clark (Bangover Productions). The three of us have been going back and forth over the different aspects of the sub-genre as well as what makes our film stand out among some of the classics. I know that doesn’t really describe the film, but I hope it does it justice without giving anything away. We have a lot of exciting things in store for people with this project, and I don’t want to spoil that. Our goal, however, is to revive slashers and make them scary again, and really give the horror community something that is worthy of their attention. MAM: What films and other aspects of pop culture have influenced Goatman? LD: This is something that me and my cinematographer, Tylere Brown, have been discussing for about a month when it comes to the actual camerawork of the film. The first time I spoke to him I told him that I was in the process of crewing up for a script I’d just finished writing. The first thing I asked him was “have you seen It Follows“? 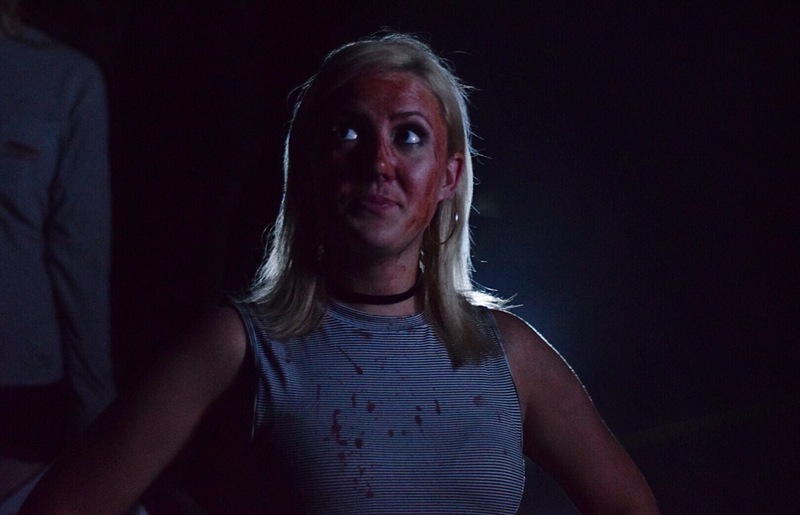 You can put two and two together and see that we both feel strongly about It Follows and how it delivers as a modern homage to retro horror. It’s been quite a challenge for us to set our film in 90s, because even though most of us lived through it, we were too young to really be familiar with the way people talked and acted. Luckily, I have two parents who remember it vividly. So, when it comes to pop culture, I have been diving into the past to stay as true to the time and culture as possible. MAM: If you could work with any actor, scriptwriter or other personnel, who would it be and why? LD: David Fincher and Kevin Spacey. Hands down, they’re two of my biggest inspirations when it comes to character depth, motivation, writing, and directing. I’m a little ashamed to admit this, but I saw Se7en for the first time a few months ago. I have no idea how this happened but in all honesty, it has become one of my favourite films and influences when it comes to creating a world for a killer to inhabit. MAM: Are there any other director’s styles you admire? LD: As I said before, I love Fincher. And Ridley Scott. But George Miller and Christopher Nolan were who really inspired me to go into film in the first place. MAM: What composers are attached to the Goatman? 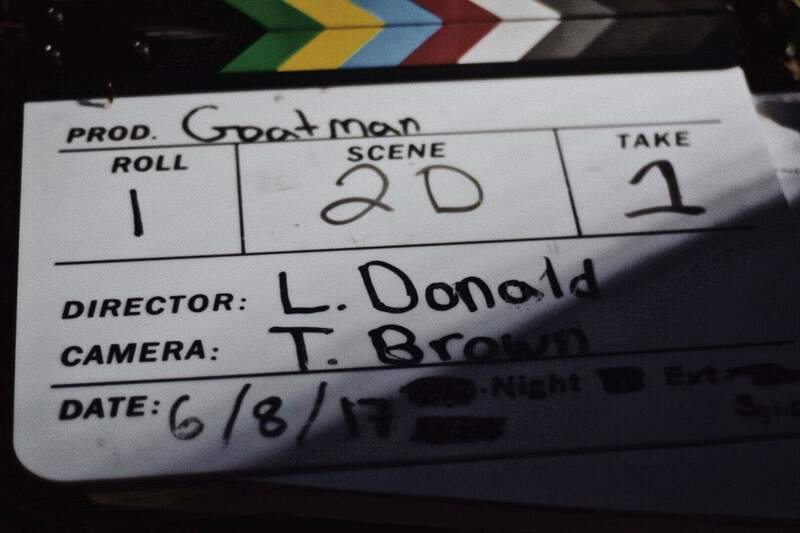 LD: Mason Guevara is scoring a good chunk of the film as he’s been attached from the start in more than just music, but we have recently started working with Hammy Havoc of Split An Atom, who is teaming up with Mason on the music for the film. It’ll be interesting to see what comes out of that partnership given Hammy’s keen interest in industrial rock, modular synths, and sound design. MAM: Did you already know what genre/style of music you wanted before you researched and contacted the composers? LD: Well, we are mostly paying tribute to the 90s with this film, so it seemed natural for us to build from the music of the time rather than go for a modern or traditional horror movie sound. As a kid, I grew up listening to all sorts of bands in the grunge and rock scene. I was drawn to the raw sound, and I wanted to hear that energy infused into this film’s soundtrack. On the other hand, Mason’s interest in 90s music lies with heavier and more cinematic acts such as Nine Inch Nails, Tool, and Marilyn Manson, so I am greatly looking forward to seeing how viewers react to the score for this film, which I believe will have a unique and unsettling sound based on a combination of our 90s musical influences. MAM: This is your first time as a director. Have you come across any difficulties or complications so far? LD: Every film has its complications and I’m not going to pretend that this film is different from any other student or low budget film. One of the biggest things that stands out to me is communication. On any set, communication is the biggest issue and will make or break your production. Everyone on the crew and cast is a student of some kind and works to support themselves. I think it’s difficult to always have perfect communication between everyone. MAM: Do you think you’ll find the budget for Goatman, as an indie film, constricting at all? LD: From the beginning, Mason and I knew it would be tough to gather the funds. I wrote the script based around the time slot and budget I expected us to have. I know that’s not the traditional way to write a script but in all honesty, I didn’t expect the film to gather this much traction, yet alone have an interview. So, to answer the question, yes, I believe we will have the funds and I’m confident in the crew that was hand-selected and their ability to perform under this amount of pressure. MAM: Is there any part of the film-making process you’re looking forward to? LD: The past few weeks have been so much fun. Promoting the film and creating teasers that give the film life even before principle photography starts has been increasingly fun since the first teaser. I got to work with some friends as well as some talented actors on the third teaser. If you haven’t seen it yet then go check it out. Principle photography is going to be a blast. To put it simply, Tylere and I feel like kids in a candy shop. We can let our imaginations run wild with this production when it comes to the shots that we want. MAM: Do you have any other projects lined up? 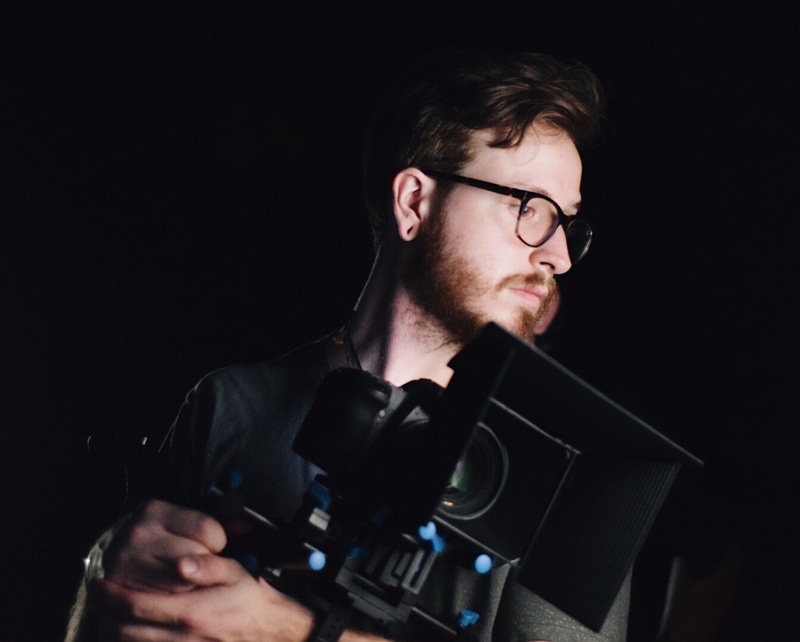 LD: As a matter of fact, Mason and I just lined up several clients for the next few months that include a few music videos, a short film, and a pilot for a web series. The promotion for this film has really started to draw some attention to my production company, Shutterstinct, which is very exciting. I wake up every day with a different update concerning the rising popularity of Goatman or a new potential client for Shutterstinct. It’s incredible, and I am so thankful for my friends and family who support me and my dream. MAM: What made you want to start up this project? LD: It’s an incredibly long story that ultimately revolves around the fact that my childhood was full of Saturday morning cartoons. That’s as much as I can tell you without giving away the biggest kept secret about this project. MAM: Are you worried about critics? LD: I mean, every film has its critics. I think this film’s biggest critic is myself. I think everyone can take something from this film. I believe everyone will relate to it on some level. MAM: How did you get into directing? LD: Funny story, I was convinced that I wanted to go into camerawork. Being the control freak that I am, I thought being able to physically hold the camera, or control what’s in focus or what is or isn’t in the frame would have been a dream come true. I soon discovered that working with actors and writing were my biggest passions. Being able to motivate people to “live” in your vision is one of the most challenging things I have ever done. Communicating my vision to the cinematographer, actors, sponsors, etc., is something I truly enjoy. MAM: Do you think that trying to appeal to an indie audience has had any effect on your decision making and will affect the choices you make during filming? LD: I don’t even think we are appealing to the indie audience anymore. We are shooting for the big leagues. The more people I talk to about the project and its future, the more I believe the audience is a lot bigger than we anticipated. Yeah, our budget, crew, and run time is small, but the content and quality is definitely going to put us on the map in this industry. MAM: Do you reckon it’s more difficult trying to appeal to a niche audience rather than mainstream audience? LD: This is literally something I was discussing with Amanda Clark just the other day. We were going over the special effects of the film and how far I was willing to take some of the scenes. She reminded me how committed the audience is to this genre. We realized that in today’s culture, people will look past a little gore if the story is compelling, characters have depth, and if they can relate to what’s going on within the film. I feel like we have solid characters and a story that will attract even the most discerning of viewers. MAM: When do you start filming? LD: Actually, I am gearing up for a rehearsal today. We go into principal photography next Thursday, June 8th. MAM: How can people support Goatman? LD: Exposure. We’ve launched an Indiegogo campaign to help recoup some of the expenses of this production, and right now every dollar counts. But for everyone else, just liking and sharing the Facebook or Instagram page, and getting your friends and family to check out and share the Case Files and Trailer will help our audience grow. We are blown away by the support we’ve received and honestly, I never saw this coming. MAM: What perks are available to backers of your Indiegogo campaign? LD: Part of the experience for us in developing this film has been the learning process. Our first crowd-funding campaign did not get the response we had hoped for, for lack of exposure. We discovered the hard way that some crowd-funding options were better than others at helping us get support from the public, and thankfully we have discovered Indiegogo, which seems to have helped many indie filmmakers reach their goals. In terms of perks, anybody who decides to support our project can expect a limited-edition poster which hasn’t been released yet, and a specially designed shirt based on the amount they donate. We have many other “giveaways” as well as raffles that will take place closer to the release. MAM: It was great talking with you. Good luck with filming! LD: Thank you so much for having me. I know I speak for the crew when I say that we are all so excited to be going into production! We look forward to seeing the finished product and delivering on our promise of a film worthy of the horror community. 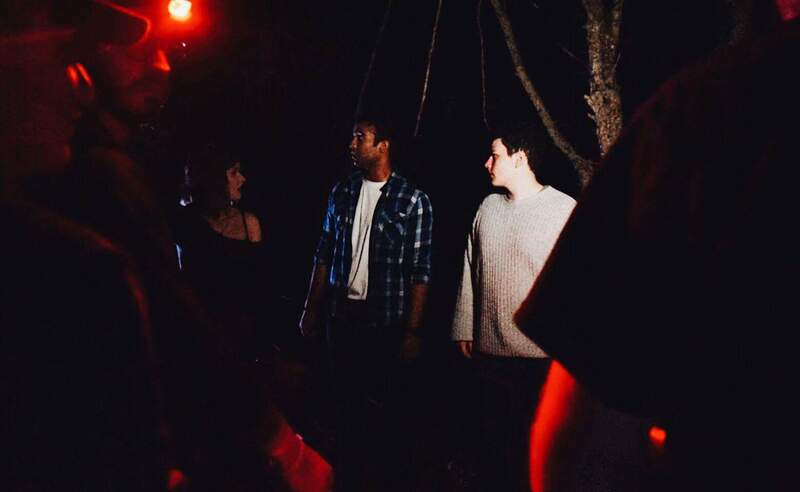 Special thanks to Emily Marosek for the brilliant behind-the-scenes photographs during the filming of Goatman. How did James Bond become a cultural phenomenon?